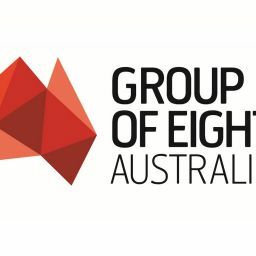 Six Go8 universities have again been placed in the top 100 universities by the most prestigious annual global rankings – the Academic Ranking of World Universities. “It is a ranking much welcomed, and deserved,” says Vicki Thomson Go8 Chief Executive. “As it is founded in our research capability, it provides global ballast to this week’s independent London Economics report on Go8 universities that has our collective research returning $24.5 billion each year to the Australian economy; $1000 for every Australian. “The London Economics report also set out that every one dollar of public money invested in our research generates a roughly 10 fold return for the Australian economy. “The six Go8 universities in the top 100 of the Academic Ranking of World Universities, again led by the University of Melbourne at 38 in the world and with the University of Queensland second at 55, are behind our research capability which has 99 per cent of our research rated as world class or above,” said Ms Thomson. “These rankings are far more than being rated against other universities in the world, they are an illustration to the community of the effort put into research by the Go8, against continual cuts to funding by Government, and the success these universities derive from that research, through hard work, against all odds,” she said. Ms Thomson said the success of the six top 100 Go8 members, announced today, should be read in that context.